SOCIAL media has been left in a state of shock and great anger after watching a revealing documentary about the life of recently fallen struggle stalwart Mama Winnie Madikizela Mandela. The documentary simply titled Winnie aired on Wednesday night and its revelations left social media in a frenzy of rage. have the right to insult Tutu and Mandela. must respect Tutu and Mandela. have the right to be angry. must not let their anger cloud their judgement. Although the documentary made its world premier last year at the Sundance Film Festival, many South Africans saw it for the first time on Wednesday night. Winnie was accused of having orchestrated Stompie's murder when he played for her football team. Many reactions on twitter indicated that Mama Winnie went through a lot for her country and she deserved to be celebrated more than she was while she was still here to witness it. The #Winnie doccie is pulling all kinds of memories & experiences about her courage & suffering. She personified our suffering. 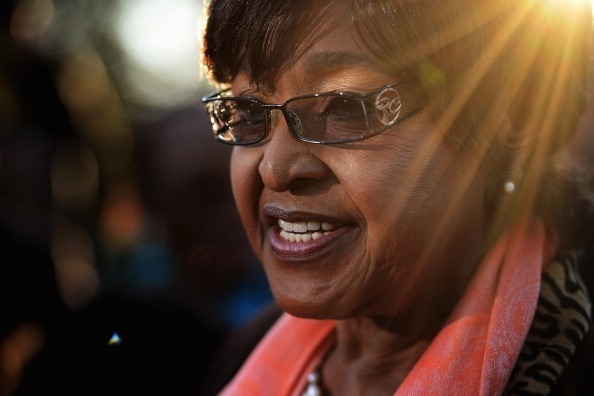 The outpouring of emotion about Mme Winnie is poignant & justifiable. She remains a hero & likely catalyst for a better tomorrow!